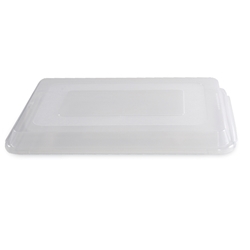 Plastic cover fits our Bakers Half Sheet and Sheet Cake Pans. 1. Lid is for storage use only.